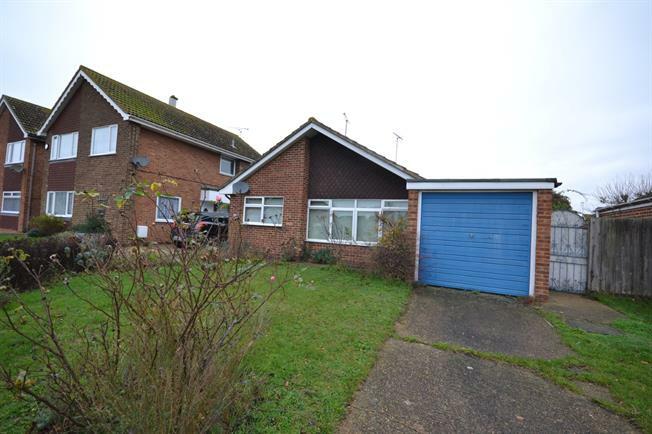 3 Bedroom Detached Bungalow For Sale in Burnham-on-Crouch for Price on Application. Being offered with no onward chain, and in need of some modernisation is this three bedroom detached bungalow on the ever popular Maple Leaf estate. The accommodation comprises of a large lounge/diner, a fitted kitchen, WC a family bathroom and three bedrooms. The property features a single garage and driveway to the front, and a private, mature rear garden.